I am guilty of having all Emery Lord's books (so far) and having not read any of them (I know, I know, BIG mistake) because as soon as When We Collided fell into my hands (thank you Bloomsbury!) I was in love with it. The whole blurb on the back that quoted Vivi talking about Jonah was too beautiful for words. Is it possible for love at first sight for books? If so, then When We Collided has utterly won my heart. From the first page, Vivi was this lively, beautiful person who had the most vibrant personality that made her my favourite POV (sorry, Jonah!). While I was reading, this sort of soundtrack came into my mind like the type you'd hear in a rom-com with a perfect score. The moment Vivi came into Jonah's world and both of them (like the title) collide, it was such a unique spin on a YA Romance that also dealt with real life issues like mental disorders and illnesses with care and shone a light on the awareness for them for which Emery should be highly praised for because this isn't done hardly enough. Vivi and Jonah have a special type of relationship that changes and evolves throughout the book, from when they meet to when certain aspects of their individual lives conflict or overlap. Set in an idyllic town called Verona Cove that's described as a small, everyone-knows-everyone place with pretty sights and friendly people, it's a perfect Californian setting. You could say that such a small town like this was too small for a girl like Vivi. She was an ambitious, huge character that seemed to light up the pages and like he did for her, she lit up Jonah's life too and changed it completely. There's not only big personalities, but a big family and big feelings and issues that tell themselves so well and were written with poise. I love how there wasn't a dull moment, not even an odd chapter or line with any of the plot segments that interacted. The character developments were timed just right and I couldn't fault how perfect the world Emery created was, showing that imperfect is loveable too and not every family and relationship is plain sailing. Overall, When We Collided is a stand-out YA book of 2016 that is bursting with love, beauty and charm. I can't recommend you read it highly enough. I've been seeing it everywhere and it surely deserves all the attention it's getting. 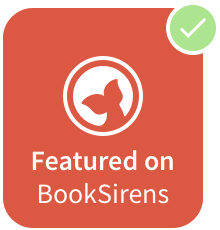 Five stars for a realistic, charismatic book that totally won my heart. 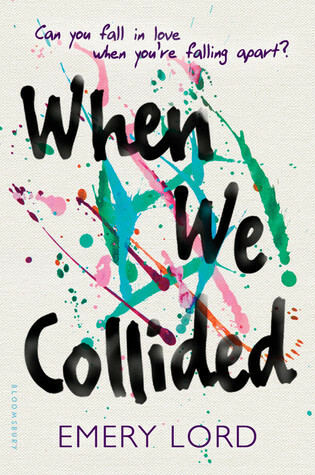 Have you read/heard of When We Collided? Let me know in the comments, on twitter @LittleMemoirs or #WhenWeCollided to spread the word!